The new Niketown store, in Oxford Circus, was designed to give customers an immersive experience, as well as showcasing the excellent choice of products. Brief: To provide feature lighting that would complement the Nike ‘tick’, and would be suspended in mid air. 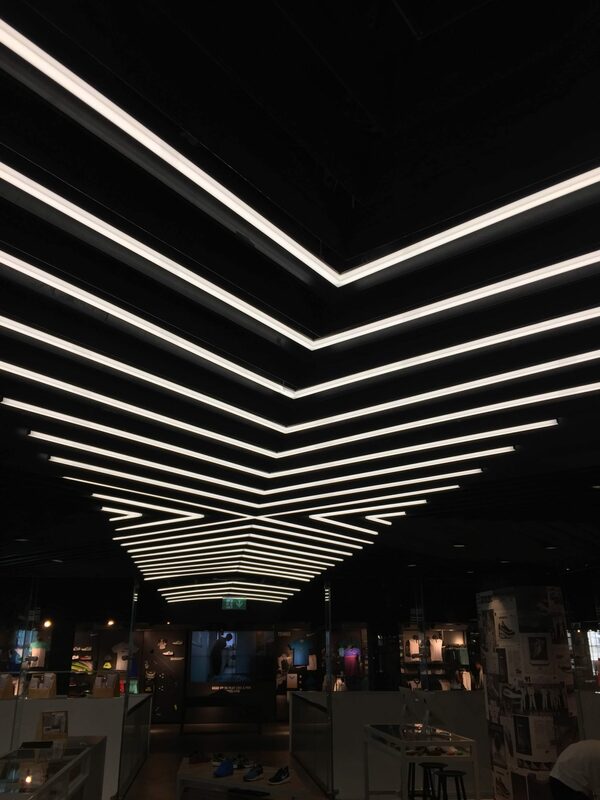 Solution: We worked with the designers using our LightLine Grande Square. This was made to order from the precise design at our Chester factory, and powder-coated black so, that when suspended, the desired effect was achieved – the chevron seems to float in the air.